As an older, retired person I’m aware of the need to keep my mind in shape just like my body. How can I forget when I’m bombarded with all these health memos of a possible tie-in between lack of brain stimulus and dementia, including Alzheimer’s? That’s a frightening scenario I want to avoid, if I can. Fortunately, my iPad tablet’s a big help via its many learning and game applications. For me, maybe it’s the professor in me, but I prefer problem activities that test my mental skills rather than dexterity. Sudoku is my favorite, though I’m also fond of games like Whirly Words, Word Ladder, BrainExl, and N-back Suite, the latter especially challenging. One thing that’s important in keeping your brain young is adding variety to your mental life by trying new things, not necessarily games, but things like learning bridge or taking-up gardening or starting a blog site, which forces you to be observant and creative. My primary hobby other than keeping a blog or gardening is studying languages. They say that when you can pair vocation with avocation you’ve punched the right ticket. In my case, definitely Yes, so I was delighted the other day, though I’ve heard it before, that one of the best exercises to keep your brain young is taking-up a new language. According to Neuromage (Oct. 15, 2012)), studying a new language intensively “over a short time stimulates the growth of the hippocampus, the brain region involved in learning, memory and spatial navigation.” This study involved new recruits at the Swedish Armed Forces Interpreter Academy who committed 13 months of study to mastering a foreign language. Brain scans before and after three months of study indicated “significant” brain growth, while those studying medicine and cognitive science in the university showed static results. What’s more, and again I’ve seen multiple research studies on this, those who are bilingual or multilingual develop Alzheimer’s disease at a more advanced age. Applying this research to myself and in keeping with the idea of something new to energize my gray matter, I’ve hit upon giving the Arabic alphabet a go. We’ll see what happens after that. I just thought it would be thoroughly brain-stimulating, given its particular challenges as a script you read from right to left and its omitted vowels like its semitic neighbor, Hebrew. 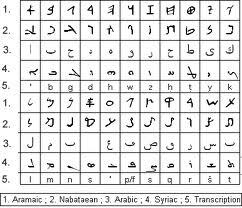 While the Arabic alphabet has 28 letters, there are actually nearly three times more than that, as letter forms change according to where they occur–beginning, middle or end. Apple just happens to have a marvelous application, Arabic Alphabet, to facilitate mastery of this often intimidating script. Can you teach an old dog new tricks? Well, I did learn ancient Greek many moons ago and, later, the Cyrillic alphabet used in several slavic languages, including Russian. Anyway, I’ll let you know later as to how this wild experiment turns out. This entry was posted in Lifestyle and tagged Arabic alphabet. Bookmark the permalink. The fun is in the challenge.